Michelle shared one of my favorite things the other day...a Maxis furniture add-on. 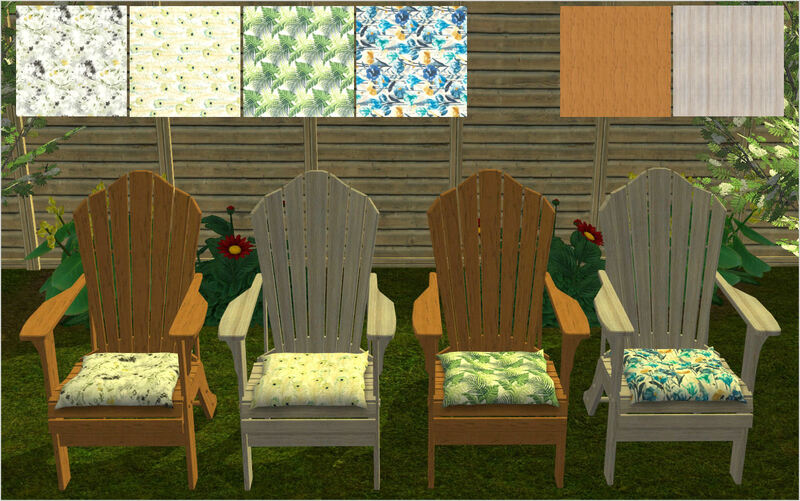 So of course I needed fresh recolors of the Adirondack chair for my game, and am now sharing a few of them in case someone else has an interest. There are (2) wood recolors and (4) cushion recolors. I've recolored the frame and cushion separately in case someone only wants one or the other. 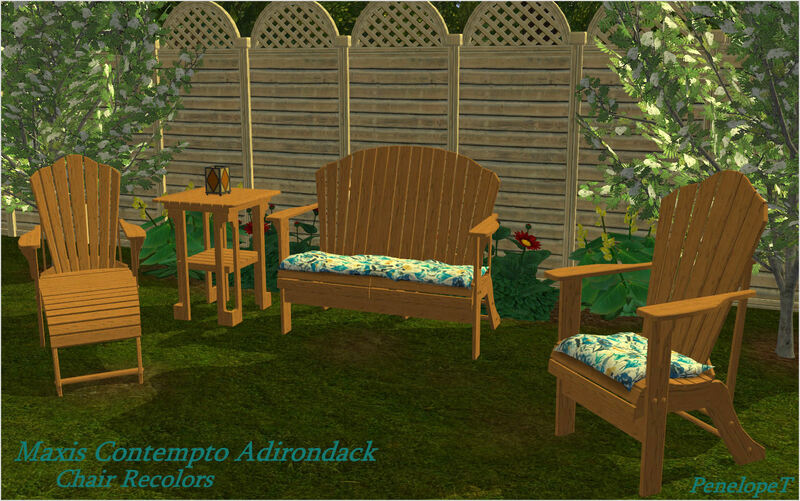 Also, if you have HugeLunatic's Adirondack CEP Extra installed, my chair recolors will show up on the other basegame Adirondack furniture (lounger, loveseat and end table) shown in the main image. So I highly recommend adding it if you haven't already. The files are clearly labeled for easy selection, and the recolors are in order per the swatch shown in the image above. Please note that I am using the latest version of WinRAR (since so many newer downloads I've wanted required an updated version), so if you have trouble unzipping the file you will need to update your version. 35 people have said thanks to PenelopeT for this download.